VMware announced expanded relationships with AT&T and Vodafone, along with an expanded alliance with Ericsson and a new partnership with T-Systems. AT&T is working with VMware SD-WAN by VeloCloud to implement 5G capabilities into its SD-WAN. The collaboration targets 5G. T-Systems is providing customers with a managed services offering for VMware Cloud on AWS. Together with its long-standing partner, VMware, the Deutsche Telekom IT service provider is connecting clients’ private clouds with VMware Cloud on AWS. Vodafone has expanded its footprint of VMware’s cloud infrastructure to power its network and to capture operational agility and cost efficiency at scale. 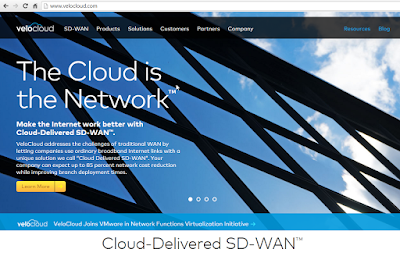 VMware is Vodafone’s primary strategic partner for telco cloud infrastructure services. VMware’s services are used across Vodafone’s operating markets around the world; they are live in 15 countries, in more than 50 sites, carrying increasing amounts of subscriber traffic on more than 300 core network functions. VMware also announced new and enhanced solutions across its telco portfolio. 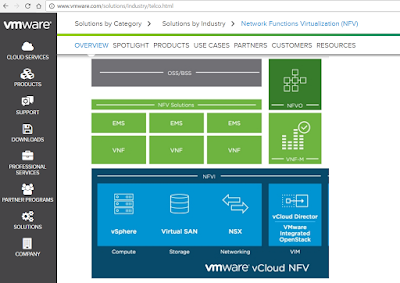 VMware Smart Assurance: provides full integration with VMware vCloud NFV, VMware’s NFV Infrastructure (NFVI) platform, along with new carrier-oriented advancements in VMware NSX-T Data Center. These advancements will give CSPs a strong foundational NFV platform with advanced networking features, accelerated data plane performance, intent-based assurance and support for a broad set of certified VNF applications to deliver multiple services and applications today and bridge the gap to tomorrow’s 5G networks. Evolution of Networking in vCloud NFV: VMware NSX-T Data Center is a core component of vCloud NFV that provides a software network overlay across the complete NFV infrastructure and supports multiple telco use cases. The new VMware NSX-T 2.4 release delivers even higher levels of cloud-scale, operational simplicity, resiliency, and performance. This includes IPv6 support, near line-rate speed, high availability, and scalability to tens-of-thousands of unique networks per NSX-T Data Center instance. With Network Service Header (NSH)-based service chaining, service providers can deliver new services faster while significantly reducing CapEx and OpEx. Expanding VMware Ready for NFV Certification Program: provides CSPs with the commitment that VMware partner VNF solutions will seamlessly and effectively deploy, run and interoperate with VMware vCloud NFV. VMware now has certified more than 105 Virtual Network Functions from 85 vendors worldwide. VMware’s broad ecosystem of certified partners creates a true marketplace that helps CSPs remove barriers to successful NFV implementations. VMware HCX Enables Seamless Migration and Multi-Cloud Mobility for the 5G-Ready Telco Cloud: delivers migration capabilities that can be integrated into Day 1 and Day 2 operations, helping CSPs seamlessly mobilize the applications to 5G with minimum downtime. VMware integrated OpenStack (VIO), with VMware’s support for Kubernetes orchestration capabilities complement VMware HCX in delivering easy migration and multi-cloud connectivity. Ericsson and VMware have signed a five-year alliance agreement to simplify network virtualization for communication service providers. 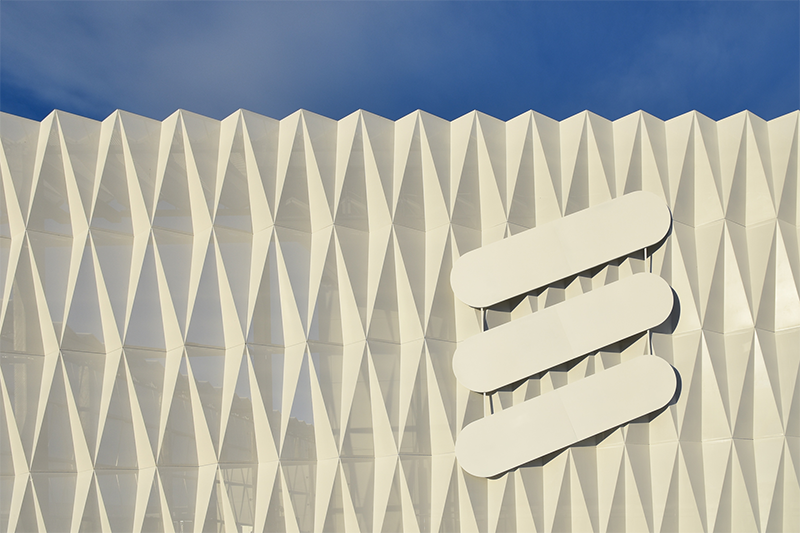 The agreement is expected to simplify deploying and running a combination of Ericsson applications and VMware’s vCloud NFV platform for CSPs. 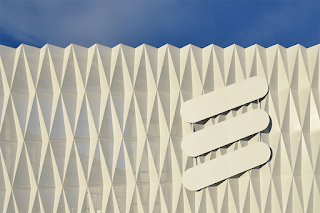 The alliance includes technical collaboration and interoperability testing across Ericsson’s portfolio of Virtual Network Functions, Billing and Charging solutions, Automation and Orchestration, with VMware’s vCloud NFV platform. VMware agreed to acquire Heptio, a start-up developing Kubernetes solutions for bridging on-premise and multicloud integration. Financial erms were not disclosed. Heptio was founded in 2016 by Joe Beda and Craig McLuckie, two of the creators of Kubernetes. The company offers a growing set of products, open source projects and contributions to upstream Kubernetes. This is complemented by Heptio’s work with organizations through training, support and professional services that speed integration of Kubernetes and related technologies into the fabric of enterprise IT. VMware and Pivotal have delivered PKS, a Kubernetes portfolio covering customer use cases for on-premises deployment and as a cloud service. The offerings enable organizations to operate Kubernetes and run their modern applications in a cloud-agnostic fashion. Upon completion of the acquisition, Heptio’s Kubernetes solution, expertise and community leadership will enhance the VMware portfolio and further accelerate enterprise adoption of Kubernetes. Dell Technologies will return to the public equity market by offering a new class of publicly listed common stock in exchange for existing Dell Technologies Class V tracking stock. The Class V stockholders will have the option to elect $109 in cash consideration per Class V share, up to $9 billion in aggregate, which represents a 29% premium to the Class V closing share price immediately prior to announcement. As part of the plan, the Board of Directors of VMware announced an $11 billion one-time special dividend pro-rata to all VMware stockholders. Regarding VMware's status, Michael Dell, who is chairman of the VMware Board as well as the Dell Board, stated: “VMware has thrived as part of the Dell Technologies family and has seen tremendous traction and strategic relevance with all customers, resulting in significant revenue growth and financial performance. After the transaction concludes, I am looking forward to VMware’s continued independent status, strategy and capital allocation policy for organic investment, M&A and shareholder returns." Vodafone Group has agreed to a software licensing agreement with VMware supporting the operator's global roll out of Network Functions Virtualization (NFV). Specifically, Vodafone will deploy VMware vCloud NFV as part of its group-wide transformation program utilizing NFV and software defined networking technologies across applications and networks. Vodafone will also receive Carrier-Grade Support, a new VMware offering to support the implementation of new software. VMware said its vCloud NFV will provide Vodafone with an ETSI-compliant, modular, multi-tenant NFV platform that supports choice in virtual infrastructure managers (VMware and OpenStack). The vCloud NFV platform combines a highly available, carrier-grade NFV infrastructure with Day 2 operations management and service assurance capabilities. Customers such as Vodafone are able to roll out multiple applications on a common NFV infrastructure, rather than building new platforms for each innovative service. The VMware-based virtualized infrastructure including VMware vSphere and VMware NSX will also provide a common architecture spanning network and IT operations, further improving operational efficiencies and overall economics. The first part of this article covered the launch of VMware Cloud on AWS, which as a reminder, is the new on-demand service being launched by VMware that runs of bare-metal AWS infrastructure, initially in the AWS US West (Oregon) region. The service will be expanding worldwide next year, providing what perhaps could eventually become a default migration path for moving virtual machines (VMs) into public clouds. VMware certainly holds a strong position in enterprise data centers and Amazon Data Services continues to run ahead of its competitors in public clouds. VMware Cloud on AWS is powered by VMware Cloud Foundation, which is the unified software-defined data center (SDDC) platform that integrates vSphere, VMware vSAN and VMware NSX virtualization technologies. We've been tracking the rise of AWS for some time. As AWS gets bigger, it is almost as if the force of gravity is pulling in more data and applications into its data centers. Although VMware has designated AWS as its primary public cloud infrastructure partner, it is officially pursuing a multi-cloud strategy, where the presumption is that enterprises will continue to operate their own data centers for the foreseeable future while moving selected workloads, applications and data stores to multiple public clouds, one of which would be VMware Cloud on AWS. Raghu Raghuram, chief operating officer, Products and Cloud Services, VMware, states: "Customers are accelerating digital transformation by deploying applications across clouds, with upwards of two-thirds of enterprises deploying applications on three or more clouds today," said Raghu Raghuram, chief operating officer, Products and Cloud Services, VMware. "VMware Cloud brings a consistent operating model, enterprise control, and investment protection for IT resources and skillsets to a multi-cloud world." Many partners are stepping forward at this week's VMworld show in Las Vegas to join this vision. We profiled some of them in the first part of this article. But could it be that all this activity really benefits just one player in the end? Will this new workload mobility benefit AWS above all? VMware Cost Insight: a cost monitoring and optimization service for public and private clouds that helps IT analyze cloud spend, find savings opportunities, and communicate the cost of services to the business. VMware Network Insight: a network and security analysis service offering purpose-built for public clouds and software-defined data centers. Network Insight provides comprehensive network visibility and granular understanding of traffic flows to enable cloud security planning and network troubleshooting. VMware NSX Cloud: a service that provides consistent networking and security for applications running in multiple private and public clouds, via a single management console and common API. Micro-segmentation security policy is defined once and applied to application workloads running anywhere -- in cloud virtual networks, regions, availability zones -- and across multiple clouds. Overlay networking enables more precise control over topologies, traffic flows, IP addressing, and protocols used in public clouds. Wavefront by VMware: a metrics monitoring and analytics platform that handles the high-scale requirements of modern cloud-native applications. Wavefront by VMware's speed, scale, and flexibility empowers DevOps, and developer teams with instant insight into the performance of highly-distributed cloud-native services. Wavefront by VMware's analytics, query-driven alerts, interactive visualizations, open API, and integrations, all powered by a scalable time-series database, deliver "first pane of glass" visibility to help DevOps teams detect performance anomalies while enabling high availability of key cloud services. Rackspace is jumping into the VMware Cloud on AWS game too, announcing plans to participate in VMware's Managed Service Provider (MSP) program early next year. This is a tricky game for Rackspace. At first blush, we wonder what strategic advantage Rackspace would have in helping customers move workloads into somebody else's data center, especially those of Amazon Web Services. Rackspace already runs one of the largest vSphere footprints in the world. Some might say that once a workload has been moved out of your house and into the arms of AWS it may never come back. Maybe that's a risk that Rackspace, and all others announcing support for VMware Cloud on AWS, will have to take. However, Rackspace is a Premier Consulting Partner for AWS, so maybe this strategic choice was made some time ago. Rackspace said it can bring its own spirit of "fanatical support" to mutual customers seeking a multi-cloud choice. Their idea is to let customers run their VMware workloads out of the data center and in the best-fit location, whether in Rackspace datacenters or VMware Cloud on AWS. What can it offer? Rackspace's value-add be in providing architecture, provisioning and management guidance. In the long term, even with fanatical support, will it be enough to retain the customers? Peter FitzGibbon, vice president and general manager of VMware at Rackspace states "Operating across multiple cloud deployments is relatively new to many organizations, however, and some mutual customers will want support to operate VMware Cloud on AWS effectively. As a leading VMware Cloud Provider Partner and a Premier Consulting Partner in the AWS Partner Network, Rackspace is uniquely positioned to provide multi-cloud expertise and identify customer needs." in both the Northern Virginia and Silicon Valley markets. Specifically, Faction will leverage connectivity to the CoreSite Open Cloud Exchange to deliver high-performance VMware based clouds with Administrator-level access to VMware vCenter that offers unprecedented control, flexibility, and integration capabilities for hybrid & multi-cloud deployments. Faction is launching a multi-cloud NetApp storage solution and Managed VMware on AWS offering. CoseSite's data centers enable the low-latency cloud on-ramps. In the northern Virginia market, CoreSite operates three highly scalable data centers - one in Washington, D.C. and two on its Reston, VA campus (VA1 and VA2). CoreSite recently announced the expansion of both its Reston and Washington, D.C. campuses, all of which will now total over 1,097,000 square feet of colocation data center space upon full build out. In Silicon Valley, CoreSite operates seven operational data centers, providing colocation solutions to one of the largest concentrations of Internet and technology companies in the world. These data centers connect more than 185 international and national carriers, social media companies, cloud computing providers, media and entertainment firms, and enterprise customers. CloudVelox, which develops cloud automation and orchestration software for clouds and data centers, introduced its new One Hybrid Cloud software for "workload portability" for customers of VMware Cloud on AWS. The CloudVelox mission is to provide the flexibility to shift workloads in and out of data centers and clouds without fear of being locked into a single destination environment (cloud or data center). The CloudVelox software can automate the mapping of compute, storage, network and security characteristics of a workload from a source environment to matching infrastructure services in the destination cloud or datacenter. It can be used to migrate workloads from any source to data center environments including between data centers (DC to DC), rack to rack (intra-datacenter) as well as migrate or repatriate workloads from the cloud to the data center (Cloud to DC). This allows users to migrate physical, virtual, or cloud workloads into a VMware virtualized data center, AWS Cloud, AWS GovCloud, or VMware Cloud on AWS. "VMware Cloud on AWS provides customers a seamlessly integrated hybrid cloud offering that gives customers the SDDC experience from the leader in private cloud, running on the leading public cloud provider, AWS," said Mark Lohmeyer, vice president, products, Cloud Platforms Business Unit, VMware. "Solutions such as One Hybrid Cloud™ enable IT teams to reduce cost, increase efficiency, and create operational consistency across cloud environments. We're excited to work with partners such as CloudVelox to enhance native VMware Cloud on AWS capabilities and empower customers with flexibility and choice in solutions that can drive business value." VMware is reshaping its entire corporate strategy around the cloud and this year's VMworld conference is the embodiment of its full ambitions. This statement could have been made at any of the past five years of VMworld shows. Each year there has been a new iteration as the company has evolved from a go-it-alone and own-the-cloud strategy to now being culturally attuned to a multicloud future. The extent of VMware's cloud ambitions is nicely summarized in the following slide, which was shown by VMware's CEO, Pat Gelsinger, in the opening keynote of this week's VMworld show being hosted in Las Vegas. The first big announcement from this year's event is that VMware Cloud on AWS is now commercially available in AWS U.S. West (Oregon) region. Other AWS data centers worldwide will follow in 2018. The strategic alliance between VMware and Amazon Web Services was first announced nearly one year ago. Under this partnership, AWS is designated as VMware’s primary public cloud infrastructure partner; and VMware will be AWS’s primary private cloud partner. The joint service will be sold by VMware. It runs on the latest, elastic, bare metal AWS infrastructure. 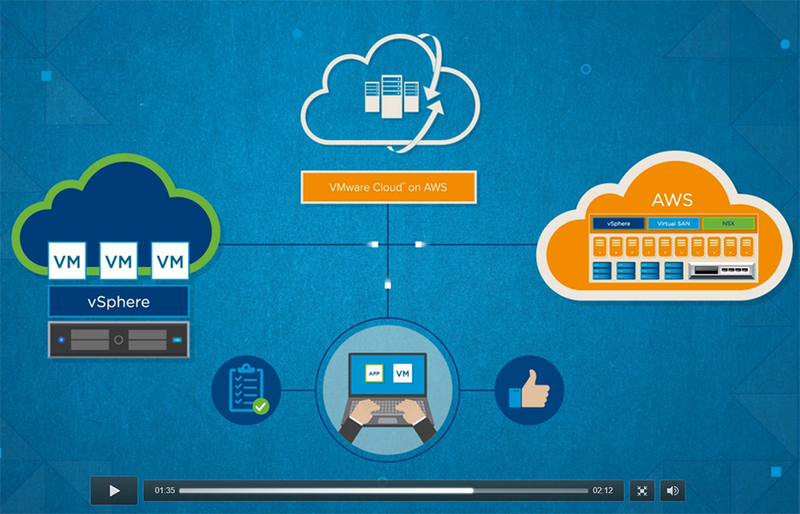 The big idea with hosting VMware Cloud on AWS is that enterprises will want to move virtual machine workloads and applications across VMware vSphere-based private, public and hybrid cloud environments, all with optimized access to AWS services, which could include S3 storage, cloud-based authentication, compliance and security monitoring, and real-time analytics. In short, VMware customers can use their existing VMware software and tools to leverage AWS’s global footprint and breadth of services, including storage, databases, analytics, etc. As corporate IT moves applications and data to AWS, VMware has a strategic interest in ensuring that its virtual machine paradigm carrier through to the public cloud. It makes sense for VMware to do anything necessary to ensure that IT teams continue to manage their AWS-based resources with familiar (and profitable) VMware tools. If VMware had failed to make this deal, their very extensive base of Fortune 1000 customers who have begun to erode with every corporate application moved into AWS. For AWS, VMware is great catch too. At this early stage of the public cloud market, the game is all about moving fast to build data centers, establish sticky services, and bring as many customers onboard before other competitors get to them. VMware is deeply entrenched in enterprise data centers. This could provide a very big on-ramp for moving corporate workloads into the AWS cloud. Naturally, both companies are making a big deal out of this arrangement. The VMware / AWS alliance is hoping to build an ecosystem of third-party tools and services to fill in the gaps, many of which are significant barriers preventing applications from leaving the corporate data center. The companies said that more than 30 solutions are ready for VMware Cloud on AWS launch, including DevOps tools, application migration tools, data protection software, cloud analytics, security, etc. Here are a few of the partners. Chef, which specializes in automation tools, is introducing a solution for VMware Cloud on AWS. Chef’s automation tools help data center teams to apply a consistent workflow across their infrastructure. The new capabilities bring together VMware’s enterprise-class Software-Defined Data Center (SDDC) software and elastic, bare-metal infrastructure from AWS. Chef tools can be used to move workloads into production using consistent workflows, which helps in decreasing deployment risk and ensuring procedural compliance. The bottom line is this should be good for VMware and for AWS. Another start-up called CloudCheckr, also introduced tools for helping enterprises migrate VMware workloads to the VMware Cloud on AWS. The CloudCheckr solution, which is initially being launched in the AWS US West (Oregon) region, gives organizations consistent operating model foe application mobility. IT staff might use the tools to calculate the optimal configurations for running VMware vSphere in the public cloud. The tool converts data center specifications into comparable clusters running the same workload on specialized instances within AWS. This output can be used to understand expected utilization levels for CPU, storage and memory, which shows the anticipated monthly AWS spend of any given configuration. Datapipe, which specializes in managed services for public cloud platforms, will launch a new service to help manage customers’ AWS and VMware Cloud on AWS footprints. Datapipe sees an opportunity to assist enterprises with planning, building, and running their approach for AWS with its full-service offering. Specifically, Datapipe will provide a unified management framework with a single monitoring platform, network connectivity options, and best practices based security and governance. Mellanox sees a play to make the movement of VMs running is software-defined data centres more efficient. Their ideas to it combine Mellanox iSER (iSCSI Extensions for Remote Direct Memory Access [RDMA]) networking solutions with VMware vSphere. iSER uses an Ethernet Storage Fabric as a unified connectivity solution for compute and storage. Mellanox says this eliminates the need for Fibre Channel while providing improved performance at a lower cost. Its preliminary benchmark results show that iSER accelerates storage throughput by more than 3x and IOPs by more than 2x when compared to ordinary iSCSI (Internet Small Computer System Interface). Mellanox also claims 2x better efficiency versus Fibre Channel storage connectivity. Trend Micro is bringing its server security product to VMware Cloud on AWS, promising seamless visibility and security for virtualized workloads across the SDDC, whether on-premises or in the new VMware Cloud on AWS. McAfee is also jumping aboard VMware Cloud on AWS with its Management for Optimized Virtual Environments (MOVE) AntiVirus, which is a threat protection solution optimized for virtual environments. This eliminates the need to install an agent on every VM. McAfee MOVE AntiVirus offloads all on-access scanning to a dedicated VM that runs McAfee VirusScan Enterprise. Ahead of this week's VMworld show in Las Vegas, VMware reported Q2 revenue of $1.90 billion, an increase of 12.2% from the second quarter of 2016. License revenue for the second quarter was $732 million, an increase of 13.7% from the second quarter of 2016. GAAP net income for the second quarter was $334 million, or $0.81 per diluted share, up 30% per diluted share compared to $265 million, or $0.62 per diluted share, for the second quarter of 2016. "We are very pleased with our Q2 results, which were driven by broad-based strength across the product portfolio in all three geographies," said Pat Gelsinger, chief executive officer, VMware. "As we continue our multi-year journey from a compute virtualization company to offer a broad portfolio of products driving efficiency and digital transformation, customers are increasingly turning to VMware to help them run, manage, secure and connect their applications across all clouds and all devices. VMware had a strong quarter and is well positioned for the future," said Zane Rowe, executive vice president and chief financial officer, VMware. "We increased our fiscal year guidance, completed our successful debut debt offering and received authorization for an additional $1.0 billion of stock repurchases." In June, VMware introduced major updates across its VMware vRealize Cloud Management Platform which enable customers to manage and provision at scale -- including compute, network, storage, and application services across multi-cloud environments. Rackspace Private Cloud powered by VMware built on VMware Cloud Foundation will enable full software defined data center (SDDC) capabilities including compute, storage and networking that span the public and private cloud. "Provisioning hardware quickly is no longer considered a value for customers, it's expected," said Peter FitzGibbon, vice president and general manager of VMware at Rackspace. "The enhancement in our VMware private cloud delivery model through VMware Cloud Foundation will provide further value to new and existing Rackspace Private Cloud powered by VMware customers by giving them access to the most streamlined and innovative VMware SDDC capabilities and lifecycle management. We are excited to use VMware Cloud Foundation and look forward to continued innovation on the platform." Continuous Updates and Lifecycle Management: Continuous updates allow for the most up-to-date VMware capabilities through lifecycle management of VMware components, thereby helping to improve users' security posture. Citing broad strength across its portfolio, VMware announced preliminary financial results for its fiscal 2018 second quarter, saying it now expects revenue to be between $1.894 billion and $1.906 billion, an increase of 11.9% to 12.6% from the second quarter of 2016. License revenue for the second quarter is expected to be between $727 million and $737 million, an increase of 12.9% to 14.4% from the second quarter of 2016. GAAP operating margin for the second quarter is expected to be between 17.5% and 19.3%, and non-GAAP operating margin is expected to be between 30.5% and 31.1%. GAAP net income per diluted share for the second quarter is expected to be between $0.78 and $0.86 per diluted share, and non-GAAP net income per diluted share is expected to be between $1.15 and $1.19 per diluted share. VMware, a major provider of cloud infrastructure and business mobility, announced an agreement to acquire Wavefront, developer of a metrics monitoring service for cloud and modern application environments based in Palo Alto, California, on undisclosed terms. VMware noted that enterprises face growing challenges when monitoring applications, which comprise hundreds of microservices in containers with lifespans of seconds, across private and public clouds. To identify and resolve operational issues in dynamic cross-cloud environments, developers need new instrumentation for their applications and devops teams require advanced real-time analytics for their distributed systems to address problems before they impact the business. Wavefront offers metrics monitoring designed to optimise clouds and modern applications by providing real-time operational insights based on millions of data points per second. Using the technology, operators and developers can interrogate real-time data streams to find ways to address issues, locate bottlenecks and test algorithms and models. Provided as a cloud-hosted service, Wavefront ingests, stores, visualises and delivers alerts using streaming metric data from clouds and applications to help improve operational performance. Designed to scale to support the demands of large data centres, the service can measure, correlate and analyse across servers, devices, applications and end-users, as well as multiple public cloud and data centre attributes, SaaS, PaaS and IaaS environments and business metrics. Wavefront's metrics monitoring capabilities will complement VMware's vRealize Operations platform for monitoring, troubleshooting and capacity planning across virtual environments. Through the combined offering, users will have a representation of their network, infrastructure and application environments utilising Wavefront with vRealize Network Insight, vRealize Operations and vRealize Log Insight. Upon closing of the acquisition, which is expected to take place in the second quarter of this year, Wavefront will become part of the portfolio of VMware Software as a Service (SaaS) offerings. Additionally, VMware will leverage Wavefront's technology to advance the development of VMware Cross-Cloud Services, designed to help users manage and monitor modern application and their associated infrastructure across clouds. VMware announced the second major release of its ETSI-compliant, modular, multi-tenancy NFV platform for delivering openness and choice across the NFV technology stack—NFV infrastructure (NFVI), Virtual Infrastructure Managers (VIM), Virtual Network Functions (VNF) and NFV Orchestration (NFVO) . VMware said its vCloud NFV 2.0 combines a highly available, carrier-grade network functions virtualization infrastructure (NFVI) with Day 2 operations management and service assurance capabilities to drive successful NFV deployments and operations. Service Automation: vCloud NFV accelerates service creation, onboarding and deployment, and enables policy-based resource and workload allocation across the NFVI. The newest release includes the ability to embed advanced service-centric policies and resource requirements during VNF packaging and automated importing of existing VNF workloads into VMware Integrated OpenStack. Secure Multi-Tenancy: vCloud NFV helps CSPs achieve complete service isolation in a secure multi-tenant environment across NFVI functions. Now with native integration between vCloud Director and VMware NSX network virtualization, service providers will be able to use micro-segmentation to deploy a programmable network with fine-grained security and role-based, delegated access control for both providers and tenants. As a result, multi-VNFs with multi-services will be able to seamlessly share the same infrastructure, yet have complete isolation from each other. Operations Management: VMware vCloud NFV delivers NFVI operational automation with 360-degree visibility along with proactive and predictive analytics to deliver performance feedback and fast remediation capabilities. With the newest release, CSPs will be able to get full visibility of all components within a deployed service across overlay, underlay, virtual and physical environments through vRealize Network Insight. The vCloud NFV platform provides continuous, near real-time data on the health, performance, capacity of network resources, along with prioritized alert notifications for closed-loop integration into resource and service orchestration workflows. Open APIs provide northbound integration with leading service assurance solutions. Carrier-Grade Availability: VMware vCloud NFV is a highly available platform providing service continuity in production networks at scale. With simplified infrastructure lifecycle management, service providers will be able to seamlessly upgrade and apply patches with minimal impact to operations and network stability. Advanced high availability (HA) features will enable intelligent and proactive HA based on VNF requirements and platform capabilities. Predictive and network-aware distributed resource scheduler (DRS) will enable proactive and predictive VNF resource monitoring and closed-loop remediation. Performance enhancements will include accelerated packet performance, and improved security hardening will be delivered through VM level encryption and secure boot. In addition, VMware, Intel and Cloudify hosted an open VNF on-boarding hackathon at Mobile World Congress to raise industry awareness and initiate an industry review of a proposed TOSCA (Topology and Orchestration Specification for Cloud Applications) based VNF Data Models agreement. What's new with storage? For many networking industry insiders, storage has been a sleepy area for the past decade or so. 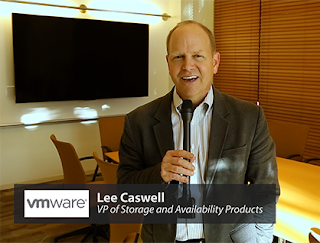 Not anymore, says Lee Caswell, VP of Storage and Availability Products at VMware. Flash technology, combined with hyper-converged software, are now putting stress on networks. Its now the fastest growing product inside VMware. Here's a perspective for 2017. Citing its ability to combine network, cloud, mobility and IT architectures into a converged platform for network services and applications, VMware announced an expanded focus on NFV solutions for communication service providers (CSPs) and telecommunications carriers (telcos) globally. The company enables a multi-vendor and multi-function NFV platform, based on its Cross-Cloud Architecture, which is OpenStack compatible and supports diverse network functions and applications. VMware currently has more than 80 NFV production deployments with leading global service providers across all geographies, deployed directly as well as through Network Equipment Provider (NEP) partners and Virtual Network Function (VNF) vendors. Today VMware has certified 24 virtual network functions from 20 vendors as VMware Ready for NFV, with a strong pipeline of additional VNFs awaiting certification. VMware also announced the promotion of Shekar Ayyar to Executive Vice President and General Manager, Telco Group. Ayyar leads VMware's effort to accelerate the digital transformation with its Cross-Cloud Architecture and software-defined infrastructure for NFV. Under his leadership the company has executed on several acquisitions including Nicira and AirWatch, and established itself as a leading provider of NFV infrastructure. Prior to joining VMware, Ayyar held senior roles at Lucent Technologies (now part of Nokia), BindView (acquired by Symantec), and Instantis (acquired by Oracle), spanning product management, marketing, and business development, and was also a consultant with McKinsey & Co.
"VMware is in a unique position to enable the transformational benefits of NFV for service providers given its leadership position in virtualization technology," said Pat Gelsinger, chief executive officer, VMware. "Shekar's experience as a proven leader, with the right combination of knowledge and strategic thinking, will help expand VMware's already strong foothold in the Telco market." Equinix is now offering direct and private access to VMware vCloud® Air™ on Platform Equinix™ in major markets across North America and Europe. 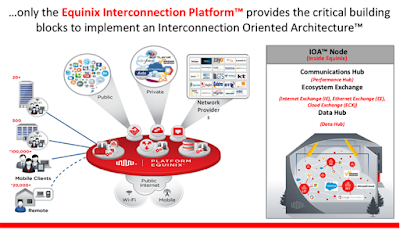 Access is available either via Equinix Cloud Exchange, the company's cloud interconnection platform, or via Direct Connect, depending on location. These dedicated, private connections reduce network costs and provide higher and more consistent network performance than Internet-based connections for enterprise customers looking to build out their VMware-based hybrid clouds. The solution is now available via Equinix Cloud Exchange in London, Silicon Valley and Washington, D.C. International Business Exchange™ (IBX®) data centers, and also via Direct Connect in Frankfurt, London, New York, Silicon Valley and Washington, D.C.
"VMware has a strong history and established foothold within the enterprise market, and therefore it is important that we provide direct access to their solution via our Equinix Cloud Exchange as enterprise demand for high-performance, enterprise-grade cloud services continues to grow. 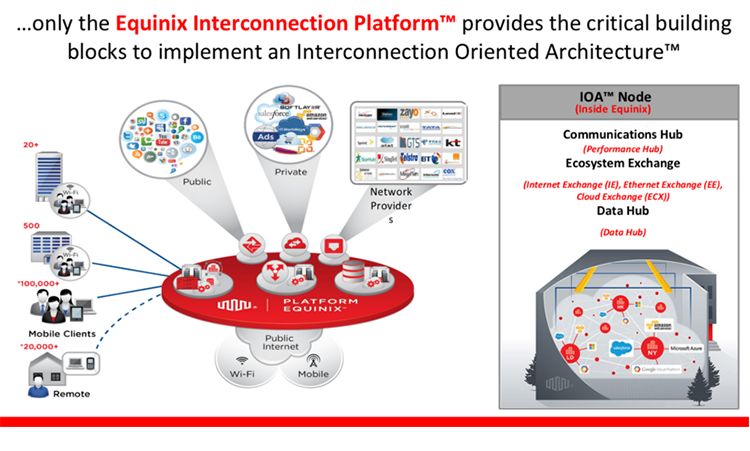 Cloud Exchange was developed with the intent of providing improved performance of cloud-based applications and workloads through high-throughput, low-latency connections and we are thrilled to be able to provide this to VMware customers," stated Mark Adams, Chief Development Officer, Equinix.